Have you ever wondered why Mark T. Barclay has to continually preach to his congregation about using drugs and other vices like pot smoking? Or have you wondered why you can’t break free from sins in your own life even after sitting under Barclay for 5 years to a decade or more? The truth is because you have been sitting under a false teacher with the wrong spirit and a different Jesus like the Mormons–full of false signs, revivals and wonders–which can’t sanctify. Don’t let this reality slip from you–listen to the other Christians who have warned you about the heretic Mark T. Barclay and flee! False teachings will only cause you to wander around the desert for another 40 years or worse. Video link to Mark T. Barclay Minsitries Cult here. I am working on another new video. I posted the trailer on Barclay’s public Facebook page, but he took it off for some reason. I guess, he didn’t like it, but Barclay’s son liked it on Youtube. Barclay’s TV productions aren’t that professional anyways, with all of Barclay’s followers investments, they are only a single step up from Amazing Grace church productions, and that’s not saying much! I’ve seen the best in churches at Hillsong in Australia, been taught by better and have a better foundation in both editing and photography. With that said, Amazing Grace Church could do much better with recording with a single iPhone without an external mic and using iMovie to edit, than the rubbish they are using to record sound and video now. The stuff they used in 2000 was even absolute junk then! I know this personally, because I worked with Amazing Grace Church’s production team for sometime early 2000 to 2005. I finally had to leave, because they blatantly refused to listen to any professional suggestions that really worked. I was sad, because I thought that I could have helped them a lot. But within a few years I was traveling around the globe and was accepted in an art school, acting in commercials and got my degree in film from a university in the U.K.
“…there will be great breakthroughs against the terrorist strong- holds, but it will take much longer to totally eliminate the threat. Weapons of mass destruction will be dealt with this year.” Mark T. Barclay prophecy, I Predict 2005. If you have followed this blog you will have noticed that I’ve been assessing Mark T. Barclay’s false prophecies and in this essay I want to examine further his prophecy concerning what ‘prophet Barclay’ says came from Jesus himself and what George W. Bush calls the worse mistake of his presidency. One of the standards we used comes from one of Barclay’s followers himself and it’s that a false prophet is one who speaks things that don’t come to pass and we can clearly see that what Mark t. Barclay prophesied didn’t happen. There were not any weapons of mass destruction to be even dealt with in Iraq as we will read the humble admission from the person who occupied the highest office in the United States the former president. Knowing the future is the test not only of a true prophet, it’s also of a true God! God is never wrong about the future or anything else. It’s because God is perfectly holy and good and he can’t do evil. He isn’t a man that he should lie. The Second Person in the Divine Trinity the God-man Jesus Christ knows the future perfectly, because he is the First and the last, the Beginning and the End and the Creator of time itself! That BBC 2010 quote is from Bush himself from his own memoir. So who should we believe and what should we believe? 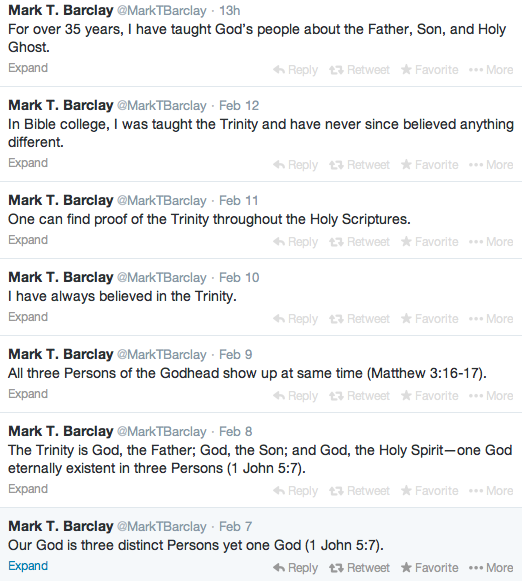 Well, first of all should I as a Christian be examining Mark T. Barclay’s prophecies? Holy Scripture and leading church theologians say yes as believers we should. Listen to Gordon D. Fee one of the greatest New Testament expositors of our time who helped translate the NIV and TNIV Bibles. “The awe with many contemporary charismatic hold to prophecy and ‘prophets’ which in effect causes them to almost to never be ‘tested,’ stands in basic contradiction to this Pauline injunction (1Thes 5:19-22).” Gordon D. Fee, God’s Empowering Presence, The Holy Spirit in the Letters of Paul Page 62. Scripture itself calls the church to test prophecy and if we don’t we not practicing sound doctrine and actually stand in contrary to it. So with that said, what have some of Mark T. Barclay’s followers said to me about this testing? Quite astonishing words! One can really read the lack of integrity for the authority of Scripture here, but there is no lack of integrity for Mark T. Barclay’s false prophecies! President George W. Bush and I are under severe Judgment for acknowledging the truth that there were no Weapons of Mass Destruction to be dealt with or found. The truth even coming from the humbling of the person who occupied the highest seat in the United States the most powerful man in the World George W. Bush doesn’t hold any weight compared to Mark T. Barclay’s own prophetic words. To proper test prophecy from Dr. Mark T. Barclay. I needed to be in the same room when God spoke to him and I shouldn’t test Barclay’s prophecies anymore, because I don’t have the authority as a Christian. Mark T. Barclay’s subjective experiences and prophecies are more authoritative to his followers than sound teaching and historical reality itself. I’ve sinned and losing my justification which is by faith alone in the Lord Jesus Christ unless I repent from my testing. Whatever Barclay has heard privately doesn’t matter and it doesn’t carry any weight of authority over historical reality. Mark T. Barclay can try his best to proclaim his own inerrancy by insisting that he is a prophet of God with the same anointing as the Old Testament prophets and that Jesus told him these things, but it in the end its an attack on the inerrancy of Scripture itself! “The Prophets of today are similar, considering they don’t hold the identical position. I flow in this anointing and gift…….”The Things You Need for the Day Ahead, by Mark T. Barclay. But what ‘Jesus’ told him? How come the ‘Jesus’ who told him was historically wrong on the presence of WMD’s? The Jesus Paul preached perfectly knows the future because he is perfectly good and holy. Scripture says that without Him nothing was created and that’s even time. Christianity is a true religion and a revealed faith and as we learn from Old Testament prophecies they are events which happened in recorded time. Just as the history of salvation can be proven by historical events like the time of Jesus birth and the specific nation by other historical writings and archeology findings outside the bible. So prophecies can be proven the same historical way . The Triune God of holy scripture isn’t bound by space and time or limited by his rational creatures, but He has chosen to use creation and time to reveal himself in what we know as history.This is one way we know the difference between a false gospel and the real one preached by Paul. For instance Mormonism makes archeological claims which cannot be historically supported. Joseph Smith claims along with the Mormon bible that Christ visited the Americas after his resurrection to preach to the natives, which events never historically happened. 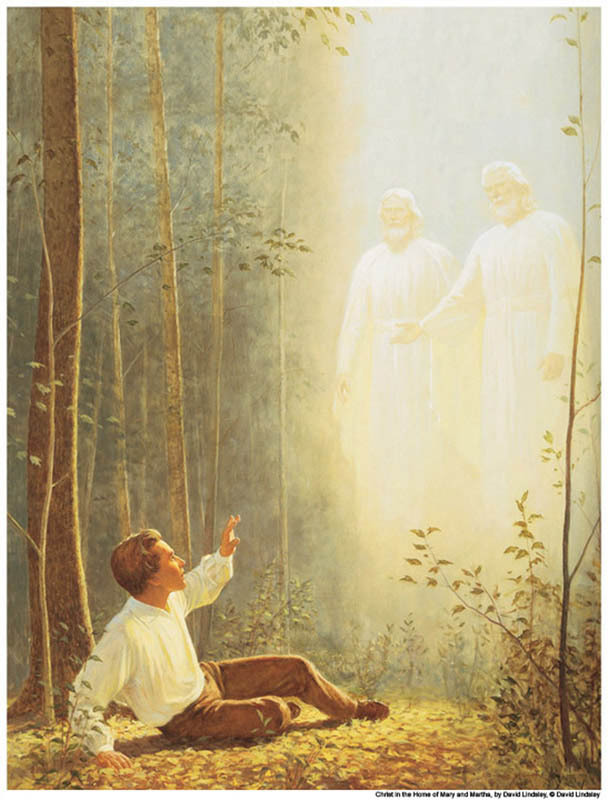 Joseph Smith claimed he received this revelation from personal visions which an angel directed him to a buried book of golden tablets which told about an Christian history of an ancient American civilization, which once translated the golden tablets became the Book of Mormon. So how do we know that Joseph Smith and Mormonism isn’t true? Well, first of all we know that it isn’t true because it’s not doctrinally true. At the heart of Mormonism is a denial of the central teachings of Christianity like who God is and who Jesus Christ is and they aren’t the same as historic Christianity. And secondly we know that it’s not true because it’s not historically true. The events which the Book of Mormon say happened have never been shown true archeologically. On top of all that were Joseph Smith’s prophecies which never came to pass. For example Joseph Smith’s prophecies directly in Doctrine and Covenants 87:2, he predicted that the American Civil War would “be poured out upon all nations.” Which never happened. So how do we know that Mark T. Barclay’s prophecy is false? It’s easy, because it’s not historically true and beyond that his prophecy isn’t doctrinally true. The Jesus Paul preached would not tell something that is historically false, which is a lie. If that’s correct then even Mormonism could be true. Only a ‘different Jesus’ preaching ‘another gospel’ told Mark T. Barclay this false prophecy! The very God who created history and time doesn’t lie, because he is holy and knew perfectly that there were no Weapons of Mass Destruction in Iraq. So how could they even be dealt with? So to end this essay, here are a few points in summery. Mark T. Barclay’s insistence that his prophecy of Weapons of Mass Destruction came from Jesus himself only reveals that this revelation was given by ‘another Jesus’ other than Paul preached. The Jesus Paul preached perfectly knows the future being the First and the Last, the Beginning and the End. He perfectly knows the future being perfect and holy in himself and does not lie. Mark T. Barclay VS George W. Bush? Well there is no comparison! It’s like comparing a wolf in sheep’s clothing to a real minister. Barclay’s integrity is only skin deep, whereas President Bush was able to humble himself to God and the world and admitting that there were no Weapons of Mass Destruction. Mark T. Barclay like Joseph Smith both claim to have special visitations and words from the Lord and both have false prophecies, which unlike true biblical prophecy are shown to be historically untrue. 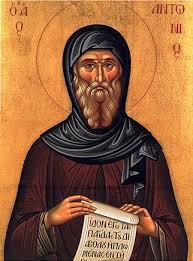 “The Prophets of today are similar, considering they don’t hold the identical position. I flow in this anointing and gift…….” The Things You Need for the Day Ahead, by Mark T. Barclay. I should also note that the prophecy which he is referring to is from Mark T. Barclay’s own I Predict 2011. So what can we learn from Reverend Darryl Baker? 1. These predictions in I Predict are prophecies. 2. Mark T. Barclay is considered a prophet and he reveals things to the body of Christ that we all need to know about. 3. Mark T. Barclay has a track record that can be looked at and tested and that this record stands for itself. 4. A false prophet is one who speaks things that don’t come to pass. So with that said, we shall test Mark T. Barclay’s prophecies as we are commanded to do in Holy Scripture and we will do so using Pastor Darryl Bakers criteria listed in number 4 and if these test show that Mark T. Barclay’s prophecies don’t come to pass then according to Rev. Baker, Mark T. Barclay is a false prophet. “I know deep on the inside that God has anointed me to prepare His people for his coming…..I know that God has called me to be a prophetic voice to the last generations before He climaxes the ages.” The Things You Need for the Day Ahead, by Mark T. Barclay. So we shall see if this is true by examining again a few of Dr. Barclay’s prophecies. In doing so I want to first get the help from a new website that has compiled a list of Barclay’s prophecies and use which has been confirmed that from 2004 through 2009 that only one out of four or five have come true while the rest have never happen, or the opposite of the prophecy happened! This is quite astonishing! Here we have a minister Dr. Mark T. Barclay claiming to have such an anointing and claiming that these prophecies have come from the Lord Jesus himself, which never come true or the complete opposite happens. I want to list a few of these false prophecies below from 2005 alone in which I will assess myself. This one is again laughable but its also destructive because it’s a pure false prophecy. Nothing like that historically ever happened and there were no credible weapons of mass destruction ever found in Iraq. There were absolutely none and the weapons that were found were very little and weren’t militarily operational. George Bush even said that this was an intelligence mistake, but it was touted as a reason to go to war. Bush went on further in his own memoir in 2010 writing that not finding Weapons of mass destruction was the biggest mistake of his presidency. Yet, Barclay prophesied differently! The second Mark T. Barclay false prophecy is one that concerns the United State’s economy. Now if you don’t know, you now feel it, because this was a decisive year in the start of downturn of the American economy, especially the housing market and the U.S auto industry, but Dr. Mark T. Barclay prophesies differently. “…the general economy in the United States will increase, therefore people will be less afraid for their future and will give more liberally. Our churches will be financially stronger this year.” Mark T. Barclay prophecy, I Predict 2005. This prophecy never happened, but what happen was a sharp economic decline in the U.S in which the country has never got itself out of and the economic decline let to the worse recession in U.S history since the Great Depression. On top of this we watched the U.S dollar begin to decline in value. 2005 wasn’t an increase in the United States economy as Mark T. Barclay falsely prophesied, but it was the start of the economic crash of the United States. Mark T. Barclay couldn’t be more wrong here and he couldn’t be more specifically false than what happened here. We can clearly see that what Barclay has prophesied in these two prophecies haven’t come to pass and that they are gross errors done in the ministry of the Lord Jesus Christ. So in Reverend Darryl Baker’s own words Mark T. Barclay is a false prophet, because the historical data doesn’t lie, but Mark T. Barclay does. There were no credible WMD’s ever found in Iraq and the United States economy never increased and ever since has crashed. Mark T. Barclay’s prophecies have been shown not to come to pass, they are severely false. There is no way around it these are false prophecies. 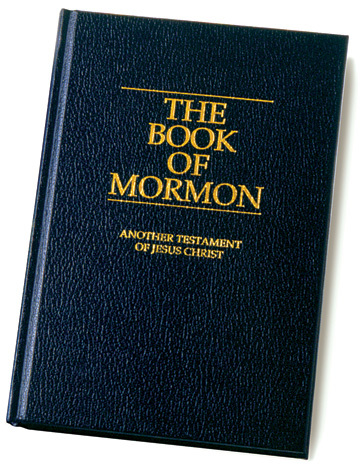 *Note: The above picture is that of the Mormon bible which like Barclay’s website has many unfulfilled prophecies. For example Joseph Smith’s prophecies directly in Doctrine and Covenants 87:2, he predicted that the American Civil War would “be poured out upon all nations.” This did not occur. * Last update 02-1-12. Bush went on further in his own memoir in 2010 writing that not finding Weapons of mass destruction was the biggest mistake of his presidency. “But Mr Bush admits that he was shocked when no weapons of mass destruction were found in Iraq. “No one was more shocked and angry than I was when we didn’t find the weapons,” he writes.